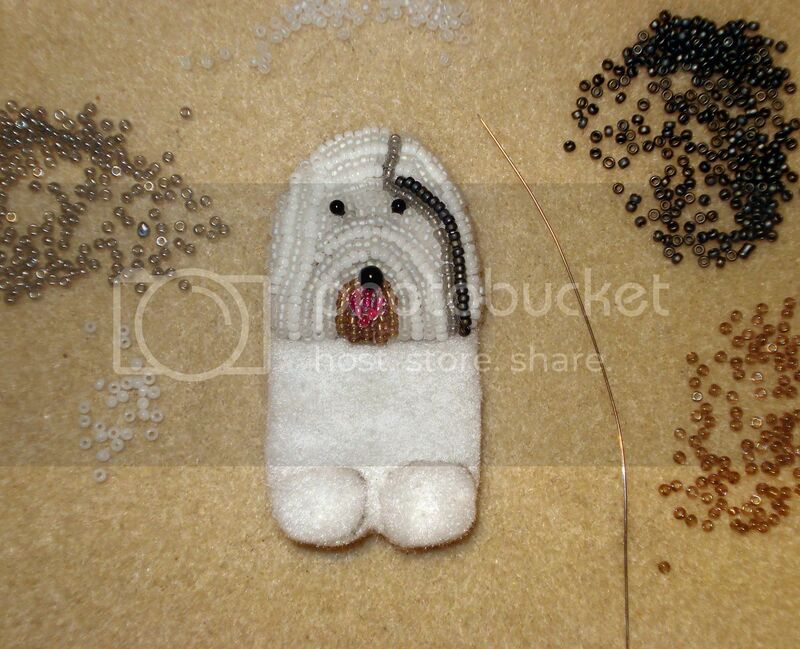 Today, I cut out some felt shapes for my beaded Old English Sheepdog. 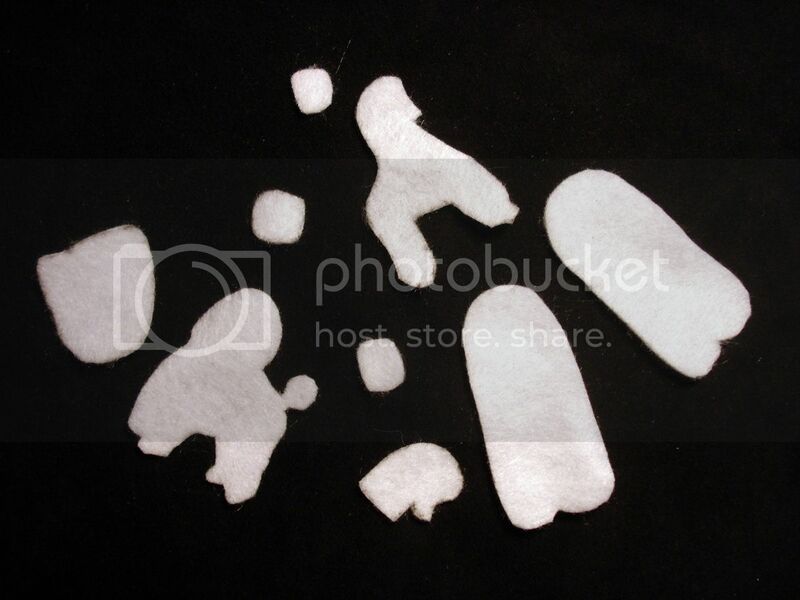 (I also cut out some felt for a future poodle!) Then, I stitched my felt pieces together. Here are the beginnings of Eliza, the 4th dog taken from my Divas portrait. (You can read more about the real Eliza HERE.) I am doing bead embroidery using 5 different colours of tiny Japanese size 15 seed beads. I think I have about 1/4 of the beadwork complete. How do you think she looks so far? >Here's wishing you a Happy New Year LB!